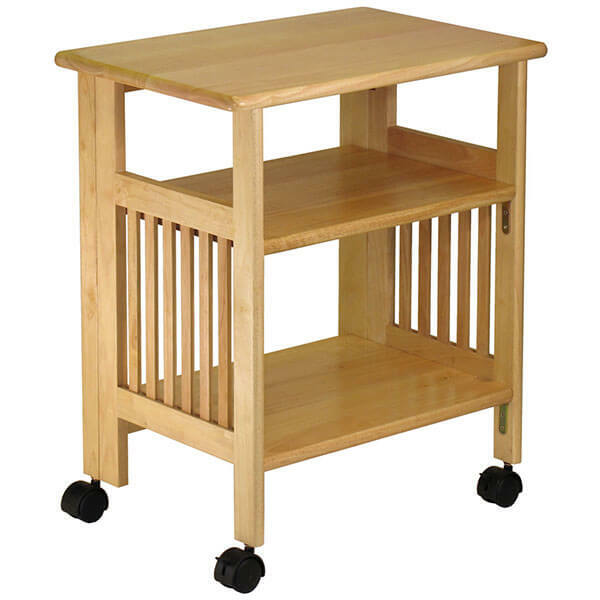 The Home Styles Kitchen Cart with Salt and Pepper Granite Top is a kitchen cart that is made out of natural Asian hardwood, which has been given a salt and pepper granite top. There are four utility drawers as well as two cabinets on either side. It comes in a white finish. Small yet spacious, the Linon Granite Top Kitchen Island is a natural wood cart that has been given a granite top. There is a slide-out wire storage basket as well as two other fixed shelves. 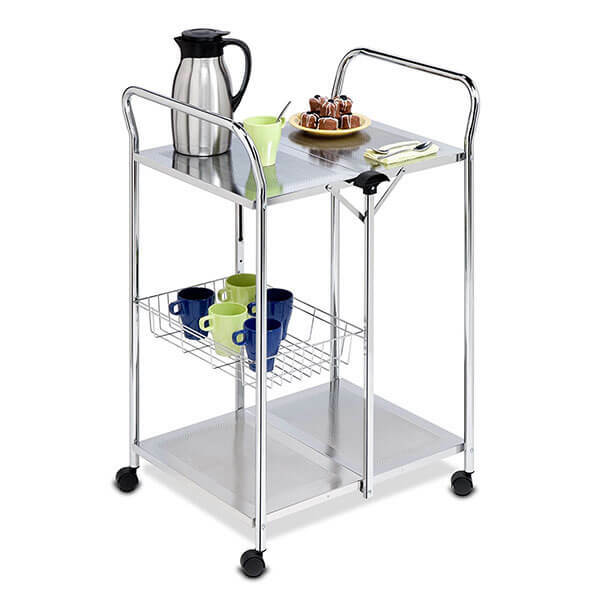 A four-bottle wine storage rack is also featured on this cart. 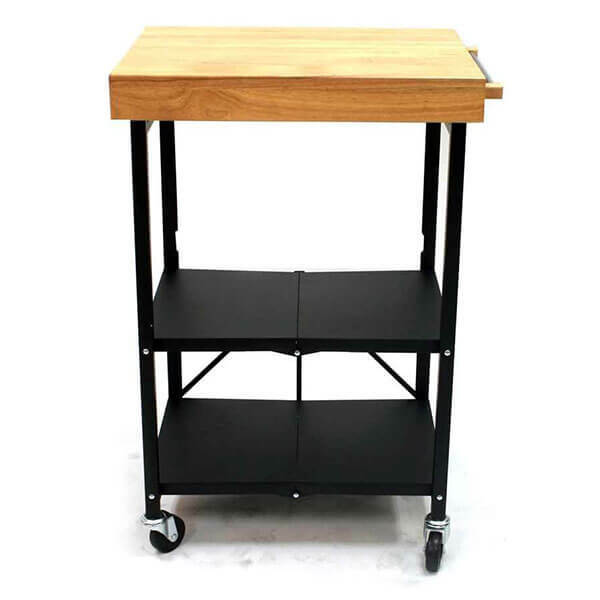 The Better Homes and Gardens Black/Granite Kitchen Cart adds a sophisticated extra bit of space to your kitchen. It has a granite counter top and two open shelves on the bottom. There is a cabinet on one side. 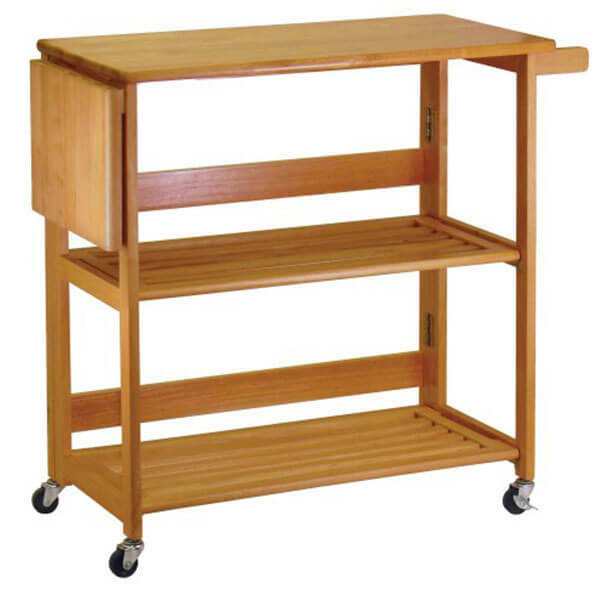 This unit has been constructed out of solid hardwood and veneers. 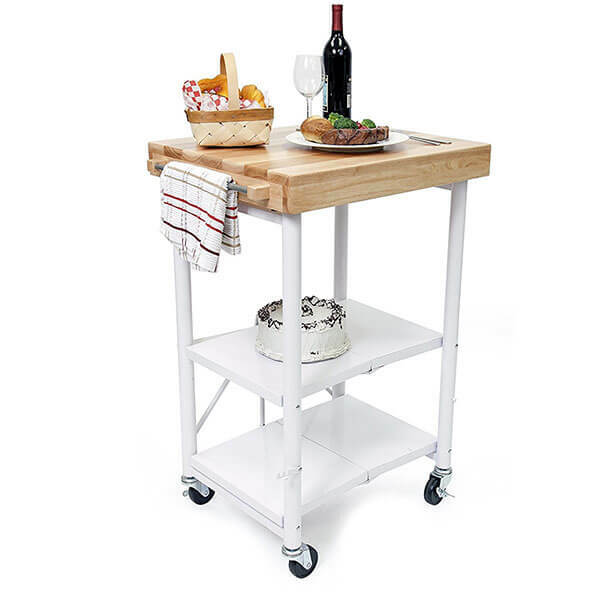 Able to match any décor, the Linon Cameron Granite Top Kitchen Cart is a versatile kitchen cart with a granite top and a white finish. There is plenty of open and closed storage space alike. Easy-roll wheels make it simple to move the unit then lock it in place. The Winsome Julia Granite Utility Cart offers a sleek, small, yet spacious place to store your kitchen accessories. It features a granite top as well as a slide-out wire basket. There is a removable serving tray in the center and a shelf at the bottom. 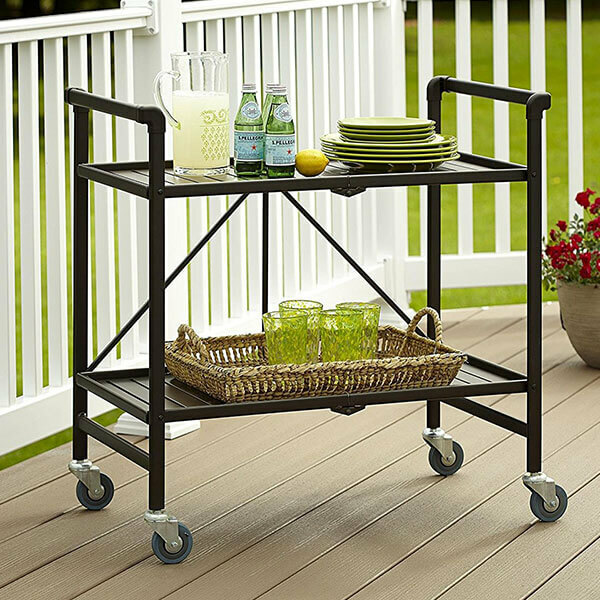 The Linon Cameron Kitchen Cart with Granite Top is a durable, sturdy kitchen cart that has a rich black finish. It features a granite counter top as well as storage space in the handy top drawer. On the bottom there are tough, easy rolling wheels.